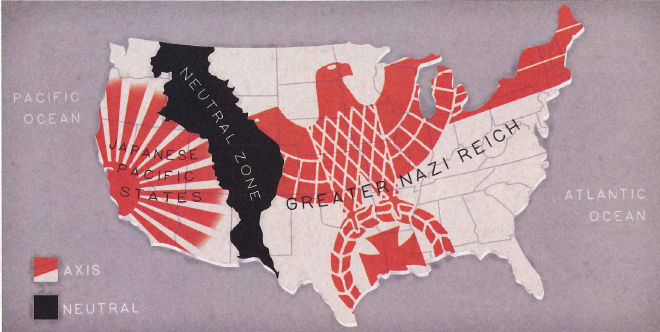 For the second season of Amazon's Man in the High Castle, we created a high-impact controversial six-page insert into TIME magazine's most read issue of the year. The execution, for which we were nominated for a prestigious Kelly Award, consisted of a six page insert into TIME's Person of the Year issue. 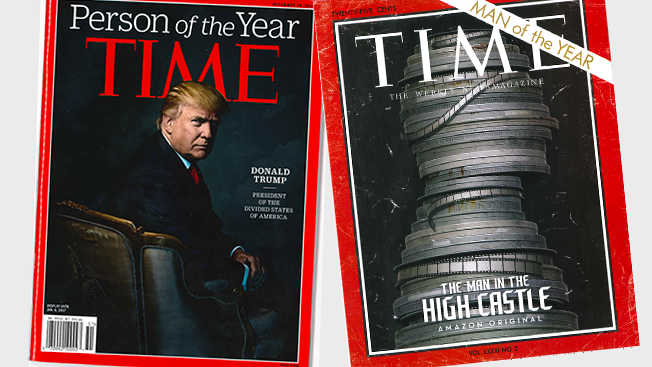 In it, we recreated a 1967 issue of TIME magazine, complete with authentic typography and visual aesthetic. 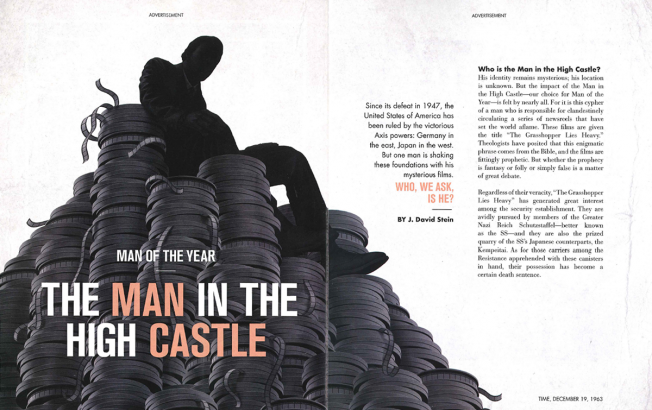 I wrote a six-page profile of the Man of the Year: The Man in the High Castle, and commissioned original artwork for both the cover and for infographics on the inside pages. This was the first time TIME magazine has ever allowed its cover with logo to be used in an execution. From a redoubt unknown and with an intention undivined, a mysterious impresario has shaken up the Greater Nazi Reich with his incendiary newsreels. But, we ask, who is he?